So excited that spring is officially here! Proverbs 31 said, “She considered a field and buyeth it: with the fruit of her hands she planteth a vineyard.” I may not have a field (more like an 8’x8′ corner of the yard), but I have been preparing for my summer garden for the last few weeks and thought I’d share what I’ve been doing so far. 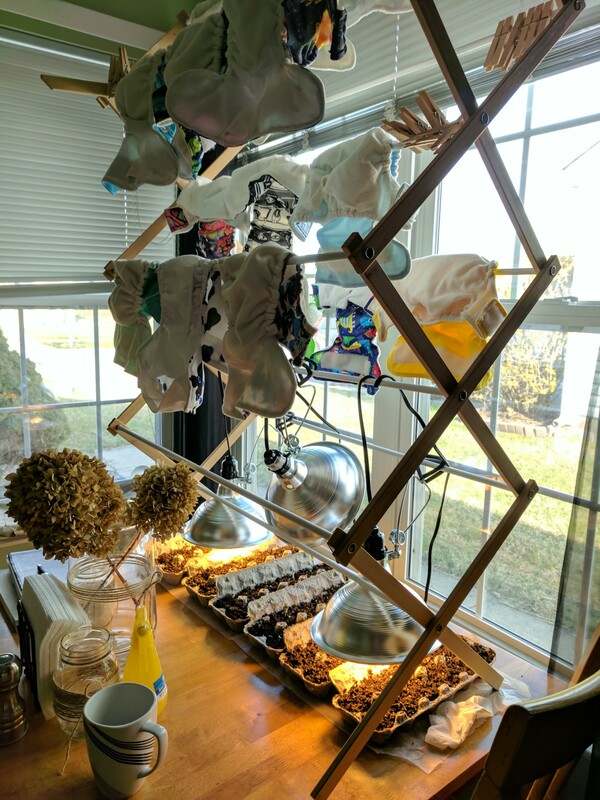 This year I decided to save some money by growing my own starts indoors. This is a new experience for me, so I’m praying it all goes well. 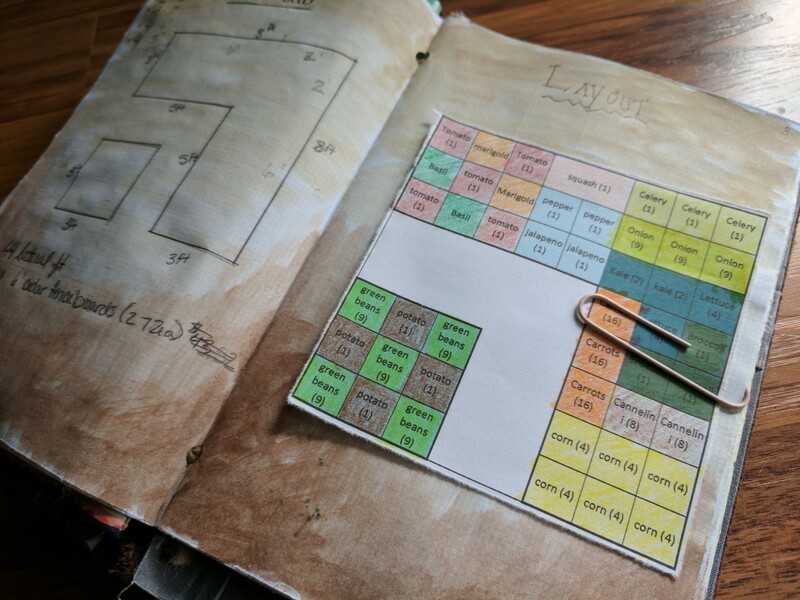 I’m also going to try square foot gardening this year in order to maximize the yield I can get from my small gardening space. So first things first… I had to plan out my garden and decide what seeds I would need. After looking around at several online stores, I settled on purchasing from My Patriot Supply because they took a strong stand against GMOs and had the best prices. They are located in Utah, which is a completely different climate than Ohio, so we will see how well they fair in this part of the country. I decided it was worth the gamble to have organic, heirloom seeds (except corn) at such a great price. 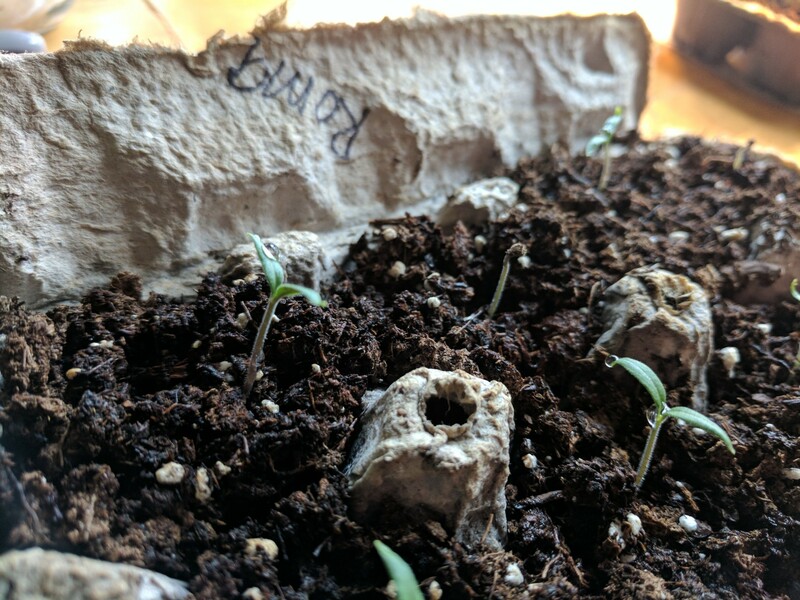 I was a little bit late getting some of the early crop seeds, so I went ahead and started germinating my seeds as soon as possible once they arrived. 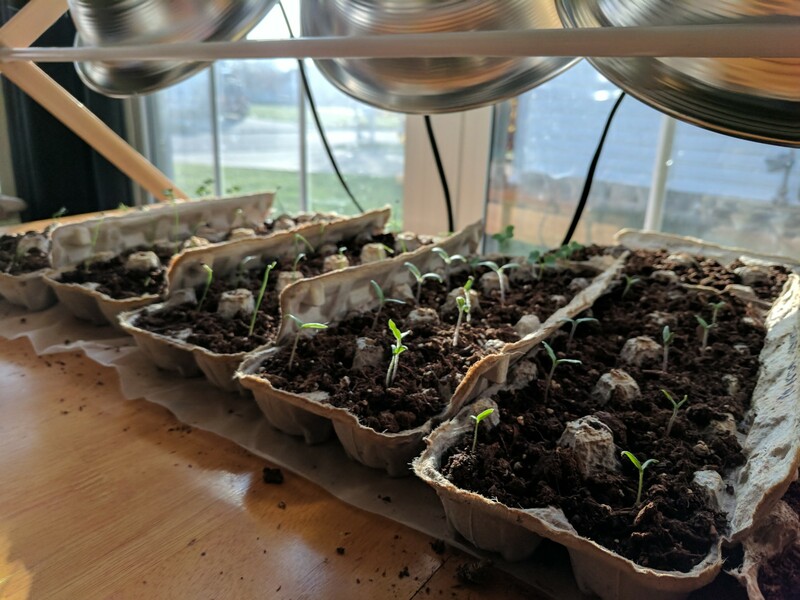 I decided to germinate them using the elementary zip-top-bag-science-experiment method before putting them in dirt, just to make sure they were going to sprout well since I wasn’t familiar with the company. So I lost half of my kitchen table space, but it’s only for a few weeks.